During the week of May 22nd, Marriott International properties across the state celebrated Spirit2Serve. 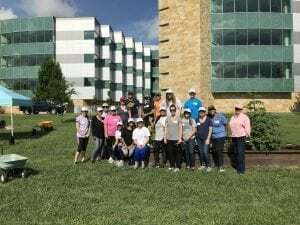 The Marriott International Regional office in Plano chose to spend their day volunteering alongside the Plano Garden Club. 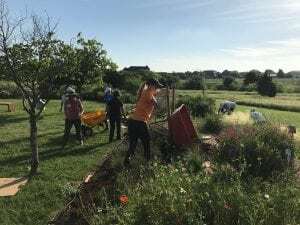 The two hours spent tending to the garden helped prep the garden beds for the summer heat by mulching and de-weeding. 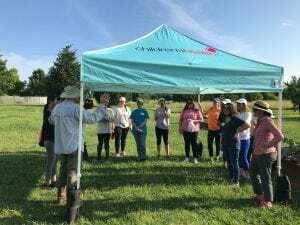 Patients from the Plano hospital Eating Disorders program, spend time in the garden during their stay to help develop a healthy relationship with food over time.